What if our youth started to take government back? Well, it's happening. Sam Gilman and Andrew Kaplan, college juniors started Common Sense Action in 2012 with one chapter. Now they have over 20 chapters in 15 states with AGE, The Agenda for Generational Equity to get their voice impacting policy. Read on, be proud of our next generation and get on board! See why I love learning from these guys? Don’t you wish that we sometimes forced Republicans and Democrats in Congress to sit in a room until they agreed on how to move the country forward? Unless you’re one of the 9% of people who view Congress favorably, you probably do. A generation ago, politicians saw eye to eye – literally. Our Democratic and Republican members of Congress lived side-by-side in the nation’s capital, linking their professional lives with their personal ones. They ate and drank together; their families were friendly; they stood on the sidelines of their children’s baseball games together. So when it came time to negotiate and make a deal, they trusted each other, knowing they would have to see each other the next day. Today, most members live in their home states and travel to Washington for three days for a whirlwind of legislating, interest-group meetings, and fundraisers – quickly returning to their home states on Thursdays whether business is finished or not. At one event last summer, we spent half-an-hour listening to a Representative professing to make an enormous effort to get to know members of the opposite party. Seconds after the Representative finished talking, the former chair of the member’s committee walked in. This former chair was from the opposite party. They introduced themselves to each other for the first time. They had never met. This kind of disconnect is unacceptable, especially when the political gridlock we face can only be broken by the power of relationships. Without time to get to know each other, how can we expect the Senator from Michigan to trust her counterpart from Georgia? But what if Congress followed the old model today? What if Congress used a Common Sense Action blueprint? On Sunday, January 6, delegates from Common Sense Action (@CSAction) chapters across the nation gathered at the Bipartisan Policy Center in Washington to finalize the Agenda for Generational Equity, CSA’s foundational policy agenda. The setting? A single conference room. The goal? Don’t leave until it’s finished. In other words, we trusted that people have good intentions, but were not afraid to call out hurtful or wrong speech; we created an honest space; and we established a structure for everyone to participate in discussion. How else could leaders from rural Mississippi, inner-city Baltimore, and suburban Iowa all feel comfortable sharing their experiences? At first, our debates were cautious. We did not know each other very well and we were not familiar with each other’s policy beliefs and political ideologies. It took awhile to get comfortable. We spent two hours discussing the first of 12 potential policy areas – Social Security reform proposals. After finally settling on a policy position for Social Security, we were exhausted. The discourse, which had started cautious, had turned contentious. Having accomplished little by 11:00am, it was time for a short break. When we returned to the table, the mood shifted. During the break, we had hung out with each other, got coffee, and ate breakfast together, sharing a little bit of ourselves with our neighbors. As the day went on, the conversation grew more and more productive. At times, we disagreed passionately on ideological grounds. And we honor that disagreement as a necessary part of a responsibly partisan process. However, we were able to build trust through discussion. We tried to live the example that we wished Congress followed: we had made a commitment to ourselves, to each other, and to our chapters to craft an agenda by working together across difference. Of course, the norms helped, as our chapter leaders would consistently bring the group back to the norms before making a critical point or if debate began to get disrespectful. Ultimately what emerged from this process was an Agenda for Generational Equity that plays between the 40 yard-lines. No Democrats or Republicans got everything they wanted in the Agenda, but everyone proudly endorsed the Agenda as a whole. 15 hours, 3 meals, 3 pillars, and 53 policies later, we had finished. We finalized the Agenda for Generational Equity as the midnight bell tolled and Monday arrived. The Agenda for Generational Equity will only have as much life as Common Sense Action members breathe into it. CSA is building a movement across the country to organize around it. We invite you to endorse AGE to begin building political pressure on Congress to solve our nation’s problems. Hey Congress – take a page out of Common Sense Action’s book. We have the humility to know when we are not the policy experts, to know that negotiating policy on a federal level requires time, patience, and courage. But spend some time together. Get to know each other. Maybe stay in a room for 15 hours. It isn’t too much to ask. By starting with the basics, Congress can get back to good governance, do away with the political football, and start solving the nation’s problems. Sam Gilman - Co-Founder and Chief Executive Officer (CEO) Sam is a junior at Brown University, pursuing a Bachelors degree in public policy. He is a C.V. Starr Social Innovation Fellow for his work on Common Sense Action. Sam is currently student body Vice President at Brown and previously served as Treasurer and Communications Director. In the summer of 2012, he interned at the Bipartisan Policy Center where he did research for a book on the causes and implications of gridlock in American politics. When he's not working at CSA, Sam is an avid runner, New York Yankees fan, and Civil War buff. Sam can be reached at Sam@commonsenseaction.org. 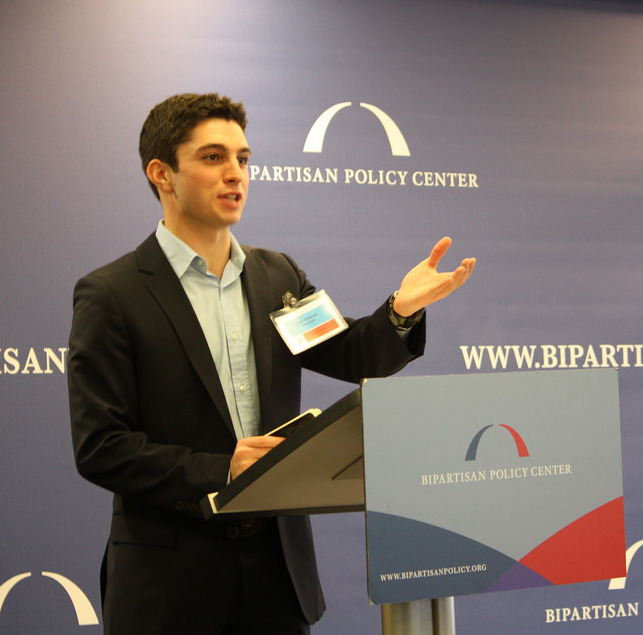 Andrew Kaplan - Co-Founder and Chief Action Officer (CAO) Andrew is a junior at Brown University where he is pursuing a Bachelors Degree in Political Science and Literary Arts. He was selected as a 2013 C.V. Starr Social Innovation Fellow for Common Sense Action. In the past, Andrew worked at the Port Authority of NY/NJ and the Queens Long Island Medical Group. When he isn't working on CSA, Andrew likes to read historical fiction, play baseball and soccer, and occasionally strum the guitar. He is a proud member of the Brown Taekwondo club, the two-time defending national collegiate champions, and he also welcomes anyone to challenge him in Lord of the Rings trivia and/or a cook-off.